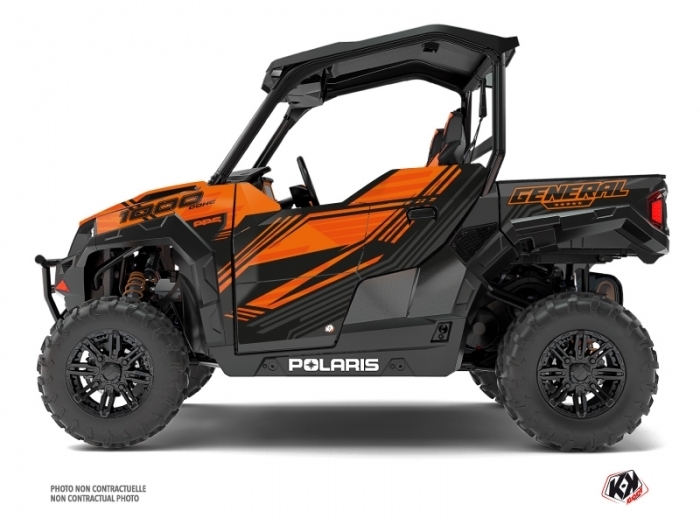 Offer you now for your Polaris GENERAL 1000 UTV a graphic kit on the colors and brand name of GRAPHITE Orange. -Ease setup : Under the heat, vinyl takes shape and fits on all sharp of your GENERAL 1000. The adhesive allow you to realign it for a few minutes if you made mistake.